As first noted by MacRumors, Apple on Monday expanded access to iTunes Match to 19 new countries in Latin America and Europe—more than doubling the number of nations where the service is available. The new markets include Argentina, Bolivia, Chile, Colombia, Costa Rica, Dominican Republic, Ecuador, El Salvador, Estonia, Guatemala, Honduras, Latvia, Lithuania, Netherlands, Nicaragua, Panama, Paraguay, Peru, and Venezuela. That brings the total number of countries where the service is available to 37. Apple launched iTunes Match in November as part of the iTunes 10.5.1 update; at that point, it was available only to U.S. users. 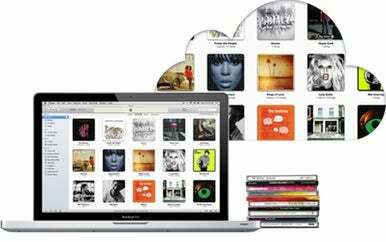 The service stores the entirety of your music library in the cloud, at a cost of $25 per year. Even better, iTunes Match saves some bandwidth strain by identifying which songs in your iTunes library are already available in the iTunes Store, and then uploading only those songs that it can't match. Any matched music you stream from iCloud plays back at 256-Kbps quality. International expansion of iTunes Match got under way in December, first in Australia, Canada, and the U.K., then in other Western European countries. Continued expansion has been contingent on country-by-country deals with music copyright owners in the new markets; as MacRumors noted, this week's expansion to the Netherlands occurred only after a deal had been struck with Dutch copyright organization Buma/Stemra.